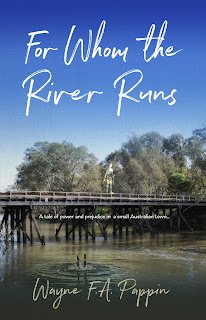 Kerry B. Collison Asia News: As the author of 'For Whom the River Runs' I am extremely grateful to Sid Harta Publishing and Kerry Collison for seeing fit to publish the novel. As the author of 'For Whom the River Runs' I am extremely grateful to Sid Harta Publishing and Kerry Collison for seeing fit to publish the novel. As the author of 'For Whom the River Runs' I am extremely grateful to Sid Harta Publishing and Kerry Collison for seeing fit to publish the novel. Sid Harta Publishing have been very generous in its support and understand very well the needs of first time writers. Sid Harta Publishing have massaged and nurtured the original manuscript to produce a quality novel that will be well worth the read. Readers of the novel will, I believe, enjoy the texture, writing style and of a story with layers of intrigue and meaning. Kerry Collison, Barbara Ivusic and Luke Harris have contributed much to the outcome so far. Their editorial expertise and skill is a credit to them. I can't thank them enough.